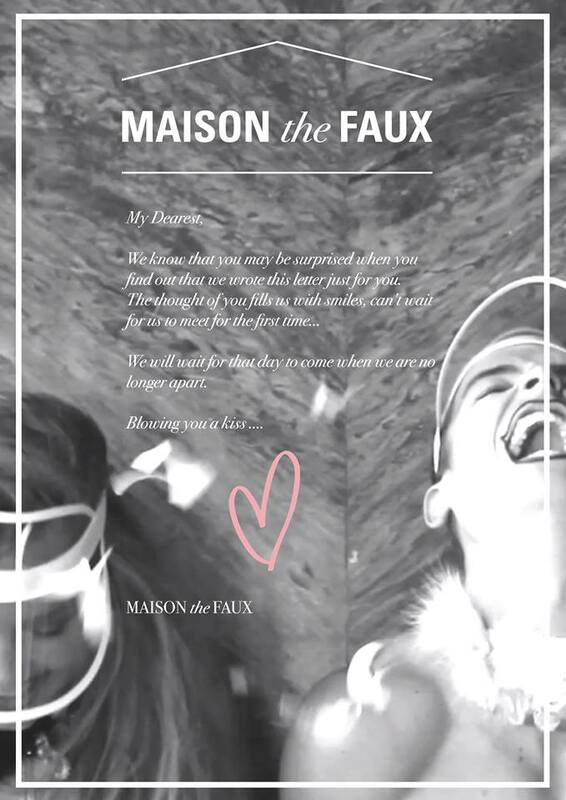 For about 3 weeks now Maison the Faux is teasing the world with secretive messages and video’s. They also placed an open love letter to everybody on Facebook, we, at Mimi Berlin, decided to reply. It appears we have seen some of their work, it’s promising! So we gladly want to share the story of Maison the Faux! We haven’t seen a single garment yet but we will soon. Wir sind gespannt! MAISON the FAUX is a recently launched label under the creative direction of Hans Hutting and Joris Suk. Both graduated in Fashion Design in july 2013 at ArtEZ Institute of the arts. The open love letter from Maison the Faux MAISON the FAUX is about a new perspective on gender; in the collection Hutting and Suk investigate a new meaning of masculinity and femininity, with a large dose of humor and self-mockery. But above all MAISON the FAUX is about love for couture and craftsmanship and celebrating fashion in all it’s strength. This entry was posted in fashion/moda and tagged couture, design, fashion, fashion design, Hans Hutting, Joris Suk, maison the faux by Mimi Berlin Amsterdam. Bookmark the permalink.